Located 60 kilometres east of Fogo Island, this granite rock rises out of the Atlantic Ocean. It’s home to a range of seabirds, including gannets, Atlantic puffins, razorbills, thick-billed murres and black-legged kittiwakes. The bird not found here is perhaps the most tragically famous former inhabitant: the great auk. Funk Island was one of the species’ last known homes on earth, and where they were hunted to extinction in the mid-1800s. Today, it’s an ecological reserve that’s basically been quarantined from the rest of the world. Only researchers are allowed to access it. Among them is Dr. William Montevecchi, a professor of psychology, biology and ocean sciences at Memorial University of Newfoundland. Once a summer, Dr. Montevecchi packs his bags and heads out to Musgrave Harbour for the five-hour boat trip. He’s usually accompanied by a grad student or fellow researcher who studies sea birds or marine biology. “But usually the maximum number is three people,” he says. A lot of the research they do now is tracking the animals to find out how and where they find food, if the birds are getting enough to raise their young, as well as the impacts of climate change. They also try to get a general idea of the health of the population. Sometimes the venture will be for just one day in June, to put tracking devices on some of the birds, either taped to their backs or wrapped around a leg. Then he might return a month later. 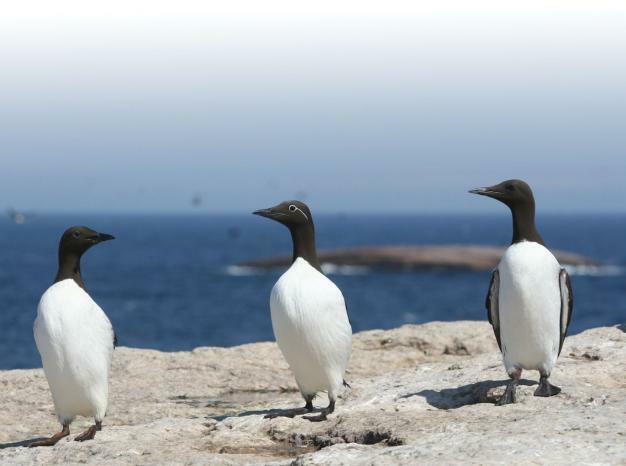 Other times the trips can last one to two weeks, timed to coincide with the murre chicks getting ready to go to sea. “It’s a time when we can get a lot of information about how well the birds are doing, or not doing well,” he says. Shelter is provided by a Labrador trapper’s tent, which fits three people and can withstand the wind and storms. He also makes sure to pack a first-aid kit, a small generator and batteries. The most important thing is the satellite phone, which can be used in emergencies and to call the fishermen who pick them up. Even before they land on Funk Island, they assign a day when the researchers need to be picked up, but that day can change. Once, they were done all their research in the eight allotted days, but due to the weather, they had to stay for another eight days. In fact, he knows a researcher that used to let the birds bite him after they’d successfully tagged the creature, just to give the bird a feeling of victory. “We do take a lot of hits, yeah, you do. But they’re deserved, I think. We’re really interfering with them,” he muses. vecchi, who also plans to use it in his university courses. While Markham is behind the camera, Dr. Montevecchi is in front of it. “I’m the scientist who works there,” he explains of the show’s set-up. “I give a little tour of the island.” With the viewers and accessibility top of mind, they went out of their way to avoid using too much scientific jargon. Dr. Montevecchi also took along an honour student, Seth Bennett, to appear in the video series. 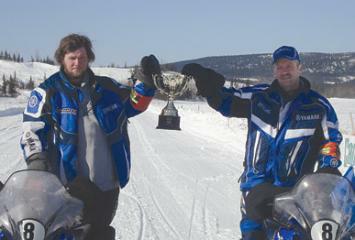 A small grant from Newfoundland Independent Filmmakers Co-Op (NIFCO) helped them pull it all together. The series has nine episodes and there are no plans to make more, but there are future plans for the website, Dr. Montevecchi says. It will con-tinue to grow and be expanded upon, with additional information about the birds, ongoing research and effects of climate change. There was a time long ago when humans frequented this island because of the vast colonies of birds nesting there. While it was never easy to get there (especially before the invention of the engine), people still made the journey in droves. It’s what led to the demise of the great auk population here. The great auk were highly valued for their meat, feathers, oil, fat and eggs. Unfortunately, the breed was flightless and relatively docile around humans, so they were easy prey. Funk Island also held a lot of importance to the Beothuk, who used to make canoe trips out to the island in order to get eggs from the great auk. “And yes, they did that, but this is a brutal trip, or it can be. 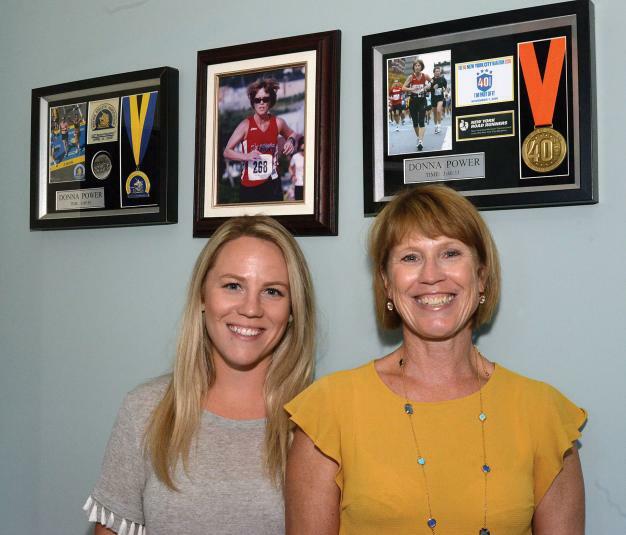 And for them I’m sure it was an adventure, to be pushed to the limit of your capabilities… But I think it was much more than really just a place to go get eggs,” Dr. Montevecchi says. It’s clear to him that Funk Island was a very dear place to the Beothuk. By Ashley Colombe This August, the top athletes from all over the world gathered in Beijing, China to showcase and celebrate their skills in the ultimate sporting competition: the summer Olympic Games. Sharing in the Olympic excitement, but not the spotlight, were employees selected from the world's top-performing McDonald's restaurants to work at the Games. Six managers from McDonald's locations in Canada were chosen for this once in a lifetime opportunity. 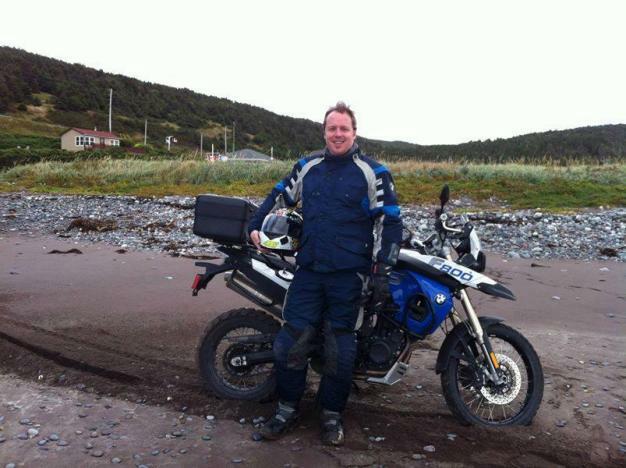 Paul Rogers (pictured below), manager of two McDonald's restaurants in Grand Falls-Windsor, was one of them. 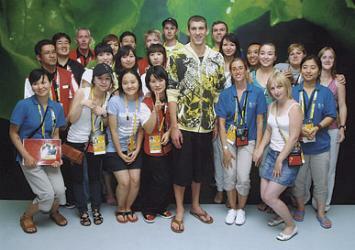 Downhome caught up with Paul to chat with him about his whirlwind experience working at the 2008 Beijing Olympic Games. Q. So, how did this all start? A. McDonald's is constantly doing different incentives for different programs, and they ran an incentive during the last six months of 2007 based on the performance of the restaurants, and the top six managers would get the opportunity to go to Beijing. We (McDonald's at Cromer Avenue, Grand Falls-Windsor) were one of the top six stores in the country - out of 1,400 restaurants. Q. Congratulations! How did your fellow co-workers at McDonald's react to this great news? A. They were surprised and delighted that the restaurant was in the top six (and a number of them were jealous that I was going and not them!). In actual fact, I got the opportunity to go to Beijing - but without all the staff, the owner/operators and everybody working together, it wouldn't have happened. Q. Tell me about the trip. A. The six Canadian McDonald's employees were all pretty much overwhelmed from the moment that we arrived there to the time that we left there. The things we did, the things we saw, and the opportunities that were given to us were just unbelievable. We were there for 12 days, and in the 12 days we worked five six-hour shifts - four at the Olympic Village serving the athletes and their coaches, and one shift at the media centre. That was the work part of it. Then we attended a couple of different Olympic events. They (the McDonald's Olympic Champion Crew Program) also toured us around Beijing and China a little bit; we went to the Great Wall of China, we went to Tiananmen Square and the Forbidden City, the Temple of Heaven, and they took us all out for an evening at a typical Chinese restaurant downtown in China. So they kept us busy...it wasn't all work for us and even when we were at work it was a lot of fun. Just being in the Olympic Village and to see the facilities that they had for the athletes, it was just amazing. Q. Which Olympic events did you get to see? A. We went to women's water polo, and we went on a Friday evening to the Bird's Nest Stadium to watch the athletics. Q. Did you get to meet any athletes? A. [/b]Michael Phelps we met, actually, after one of our shifts we went to McDonald's on the Olympic Green and it was the day after he had won his eighth gold. They brought him up and we were able to meet him and get some pictures taken. It was pretty chaotic when he was there; there were a lot of people who wanted to take pictures and get to meet him. That was one of the highlights. But at the Olympic Village at the restaurant we were serving the athletes, so we were constantly meeting them. Q. Are you a big fan of the Olympics? A. I normally watch it, not with a great lot of interest. I'm not a sports fan as such, but this certainly turned things around for me! When we were there serving the athletes I'd turn around and one of the guys would say, "Do you know who that was?" so amazed that we'd actually served them. And I'd say, "No." And they would name off the athlete. For someone that knew the athletes it was amazing to actually see them in person, and even just for myself it was...wow! Q. Do you enjoy travelling and do you get to travel often? A. I've had the opportunity to travel a little bit over the last number of years. McDonald's gave me the opportunity to go down to Orlando this past spring to a convention, so it's been a real good year for travel and McDonald's! Q. When you started working at McDonald's 29 years ago, did you ever imagine the opportunities the job would bring? A. Not in my wildest dreams, no. I had started off on a part-time basis like a lot of students, just earning some extra cash for pocket money, and the opportunities just kept presenting themselves - it's been amazing. Q. The next Olympics will be held in 2010 in Vancouver. Any chance you'll be going? A. Never say never! If anybody had asked me two years ago if I was going to Beijing to go to the Olympics I would have said, "You're crazy, there's no way!" But back in February this year, the opportunity was given to me.